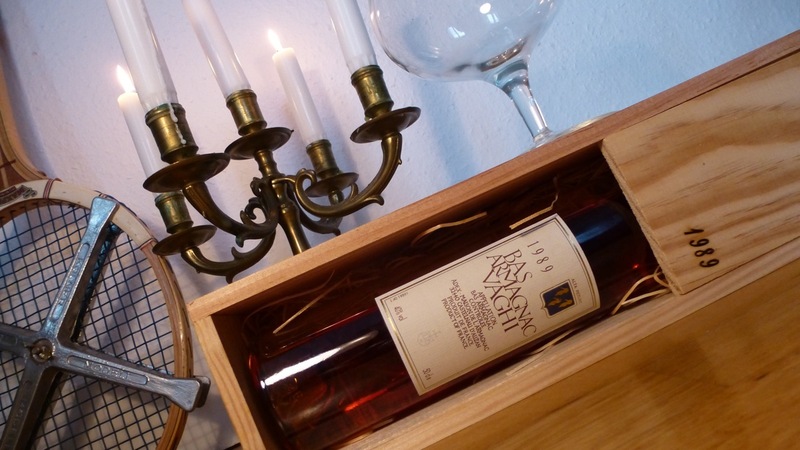 Breaking the tradition of buying a good bottle of Cognac XO for christmas. 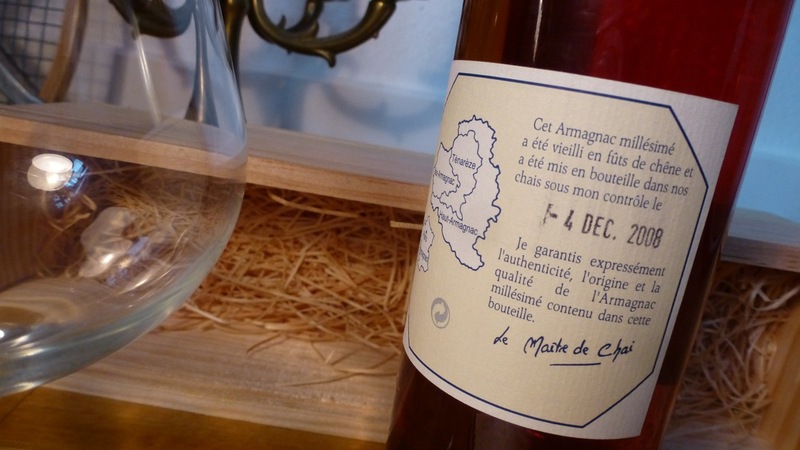 I went for a Armagnac this year. 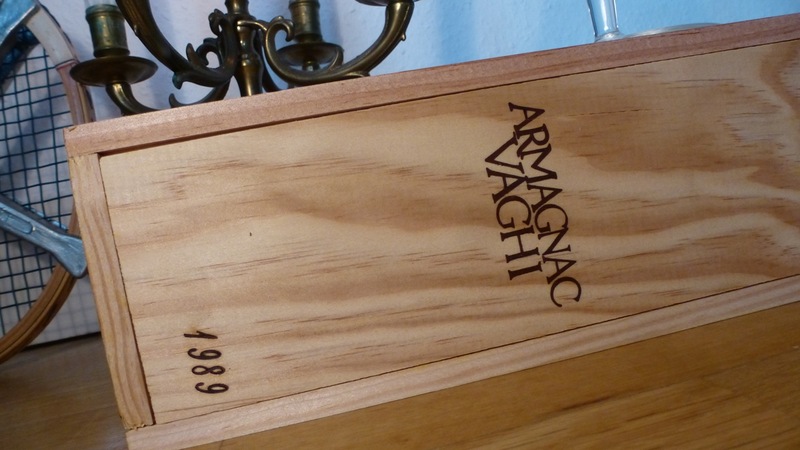 Armagnac Vaghi sells brandy back to 1928 and probably even older ones are hidden in their cellar. 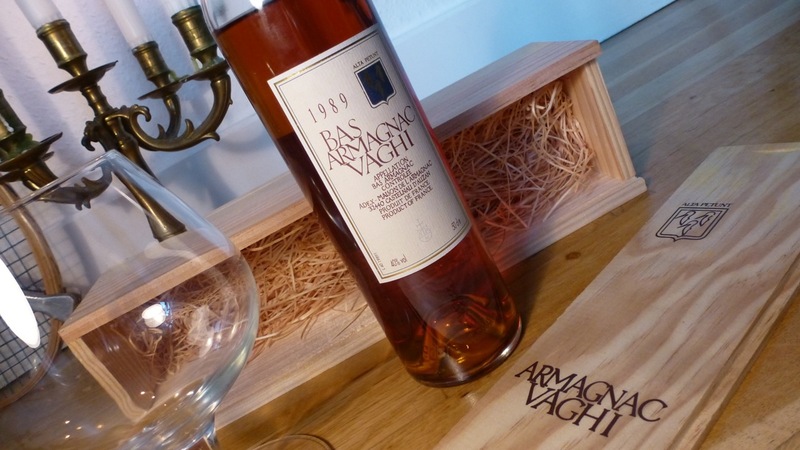 Made from Ugni-Blanc grapes and the rougher not as smooth version of a Cognac, be-cause only distilled once. But after some decades in barrels he will catch up. Sharing with family and friends who will show up. 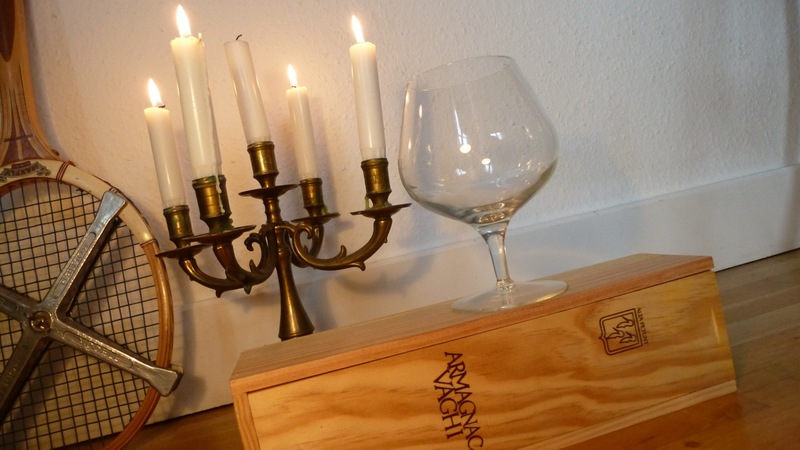 The glass is empty right now, a bit too early. But soon it will be preheated with some hot steam from the espresso machine and filled to Prost with someone. Cu soon. 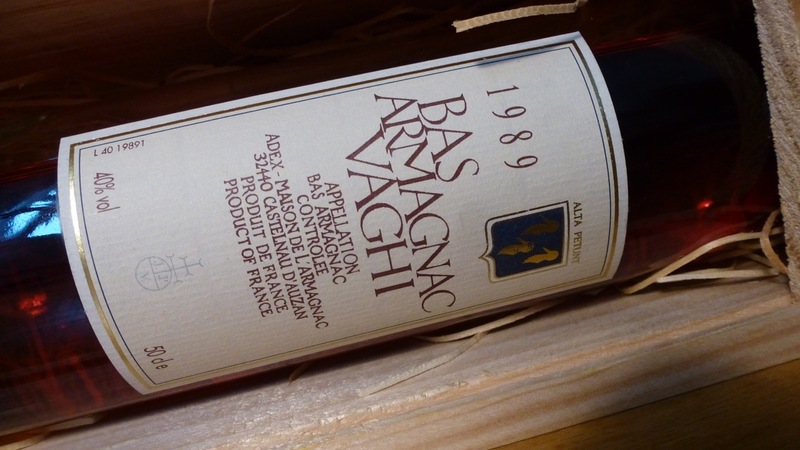 This entry was posted in Food and tagged 1989, alta petunt, Armagnac, Armagnac Vaghi 1989, brandy, castelnau d´auzan, cognac, france, maison de l´armagnac, spirit, Ugni-Blanc on 23. December 2012 by Alex.